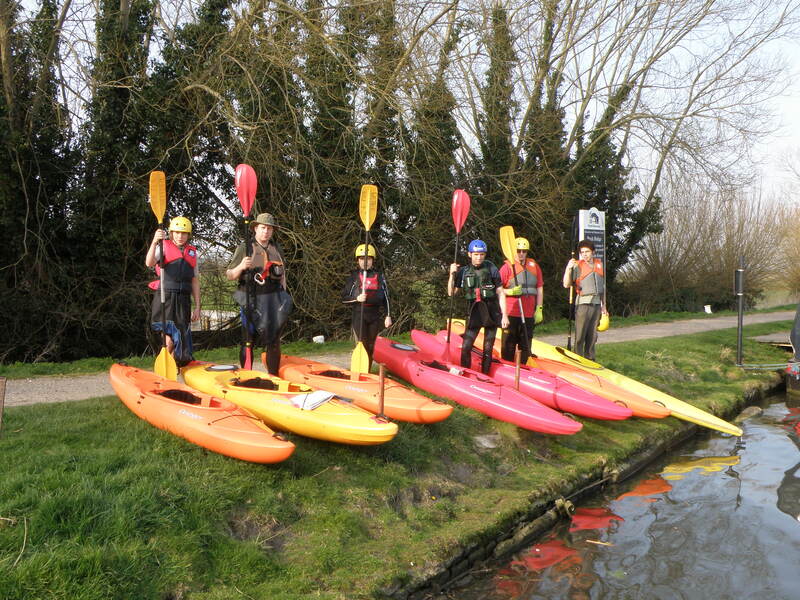 "Kayaks, on side of Gloucester and Sharpness Canal"
Do I need any Canoe Qualification? The Challenge cannot be responsible as an Organisation to teach you how to canoe. However, the Severn is not a difficult river to negotiate and there is only one Rapid. This is just below Iron Bridge, and is Grade 1 / 2 (dependant on water conditions). It can be portaged if you do not feel competant to atempt the passage. We would suggest that particants have "Paddleskill 1" competance before they start the Challenge. We need a number of people to support the running of the event including driving, river marshals, cooks and arranging accomodation. For more detail go to Support Staff Volunteers. Most of you who are applying to Participate will already be registered with Brigade Headquarters as Leaders, as such we will not need to undertake any seperate registration but we will require your Leader No. It is possible that some of you may only have registerd as helpers in the "Administrative Only" category. Provided you have signed the appropriate declaration you will be welcome to participate or volunteer as support staff as we do not anticipate circumstances in which you will be "unsupervised"
It is possible that Parents may be interesteded in joining the Challenge or willing to act as Support Staff. Whilst we wish to encourage such participation and assistance we must require that the BB Company to which their children belong registers them in the normal way as "Helpers" with Brigade HQ. Those only joining for Final Day of Paddle may at the discrection of the relevant BB Company Captain, and Severn Challenge Organsisers, join the daytime activity without registering.